Greater trochanteric bursitis is a common regional pain syndrome which frequently simulates major hip diseases and low back pain. Symptoms include pain over the lateral hip area with occasional radiation of pain into the lateral thigh. It is commonly seen between the fourth and sixth decades of life but can be seen in all age groups. Treatment includes local glucocorticoid injections combined with physical therapy and anti-inflammatory medication. Patient education is important in the success of treatment. The incidence peaks in the 4th to 6 th decade of life but can occur at any age. The female to male preponderance is 2 to 4:1. In the athletic community, long-distance runners present more commonly with trochanteric bursitis. Irritation of the bursa by a tight overlying ITB, a broad pelvis, leg length discrepancy, and excessive pronation of the foot are all risk factors for developing GT bursitis. Athletes may complain of pain with prolonged standing, lying on the ipsilateral side, climbing stairs, or running. In runners, it is commonly a result of overuse rather than direct trauma. The differential diagnosis should include radiation from the SI joint and radicular symptoms of lumbar origin. On physical examination, pain may be exacerbated by external rotation, adduction, and abduction of the hip, as well as by resisted abduction. The hip abductors are often found to be weak, the ITB is tight, Patrick’s test (FABER) causes lateral hip pain, and palpation of the greater trochanter elicits pain. Initial treatment should begin with ice massage and heat contrasts. NSAIDs and local treatment modalities such as phonophoresis help control local inflammation. TFL and ITB flexibility as well as gluteal, hip abductor, and core strengthening exercises should also be included in the rehabilitation program. In cases not responsive to conservative therapy, local corticosteroid injection may be necessary. 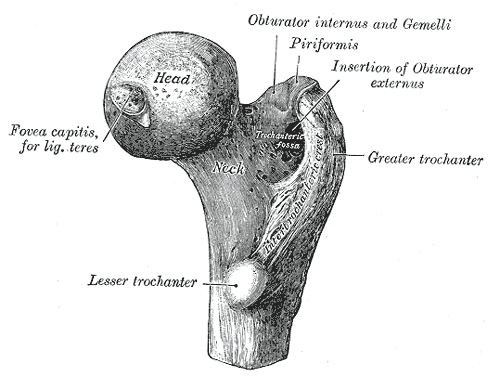 If GT bursitis is refractory to the above, operative release of the ITB and/or bursectomy may be required. Lustenberger DP, Ng VY, Best TM, Ellis TJ. Efficacy of treatment of trochanteric bursitis: a systematic review. Clin J Sport Med. 2011 Sep;21(5):447-53.